At Villas del Mar Hau, we believe in the power of the meeting because nothing is quite so personal, quite so human, as meeting in person. Our Parador offers the great opportunity to have that meeting at a location where you and your attendees can be far away from the busy office so you can concentrate on achieving your goals. Call us at 787-872-2045 or send us an email to villahau@gmail.com for more information. We offer the perfect setting for that unforgettable moment where family and friends come together to celebrate, reunite, or simply enjoy the company of each other. 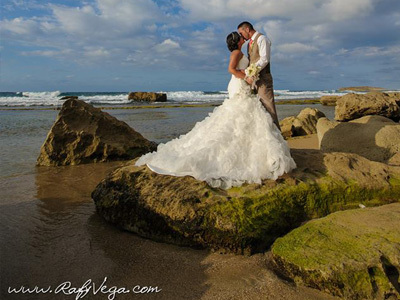 Ocean views, striking natural scenery and a gentle breeze will accompany your guests in that special event. From catering, to decorations, let us take care of the details or bring your own expertise. We can accommodate groups of up to 200 people, and have several options for locations and settings. Calls us today to speak to an expert planner that can help you organize that special event. The most important day of your life becomes the most unforgettable day of your life with our attention to each and every detail. Call us at 787-872-2045, 787-872-7915 or send us an email to events@paradorvillasdelmarhau.com for more information.